In 1980, the Tony Turner Company recognised the growing need for Wood Chippers in the Arb industry and introduced an imported range of machines marketed under the "Turner" name. In 1993 GreenMech Ltd was formed, this Company was introduced to manufacture and market a range of British built Woodchippers and Green Waste Shredders. 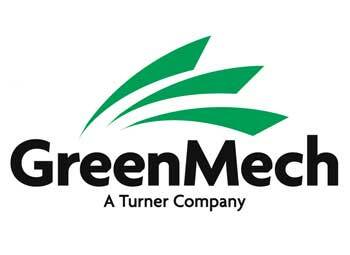 GreenMech equipment is designed and manufactured in the UK. They have many years' experience in the design and manufacture of Wood Chippers and Shredders. Every GreenMech machine is built to extremely high standards for use in the tough conditions of the Arb industry. GreenMech's revolutionary disc-blade technology gives the operator up to six times the blade longevity, meaning minimum changes of the blade and reduced re-sharpening duties, which enables cost savings over using conventional blades. The GreenMech Woodchippers come with a wide range of petrol and diesel engines from manufactures such as: Vanguard, Lombardini, Kohler, Briggs & Stratton and Isuzu.